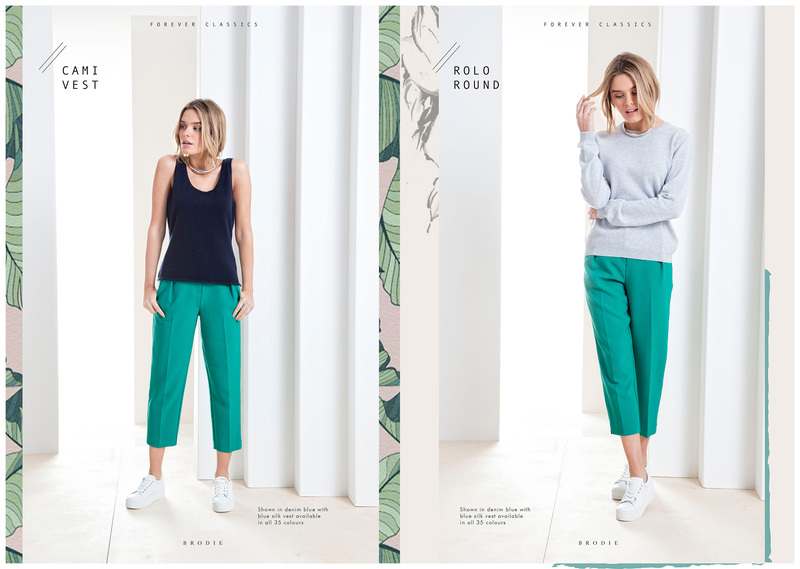 Fashion photography and look book design for Brodie Cashmere’s spring / summer catalogue collection. 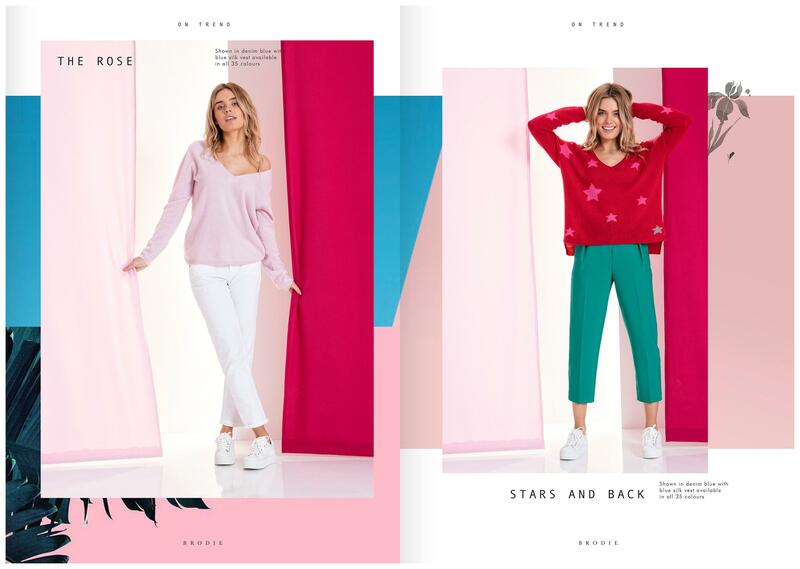 Pure’s fashion photographers and designers pulled out all the stops to create a great feel for 2018. To create the 2018 look book our creative team and fashion photographers worked with Brodie to create something truly inspirational. 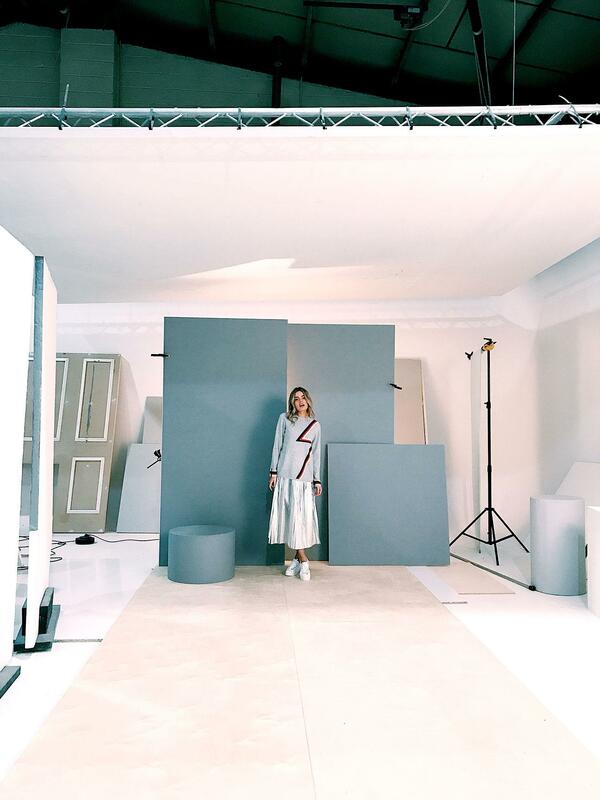 The design of the look book used a tropical theme with fashion photography incorporating geometric shapes and drapes against a number of painted and wooden backdrops. The photography took place over 2 days with model Chloe Lloyd traveling to Pure’s Leeds studio from London. 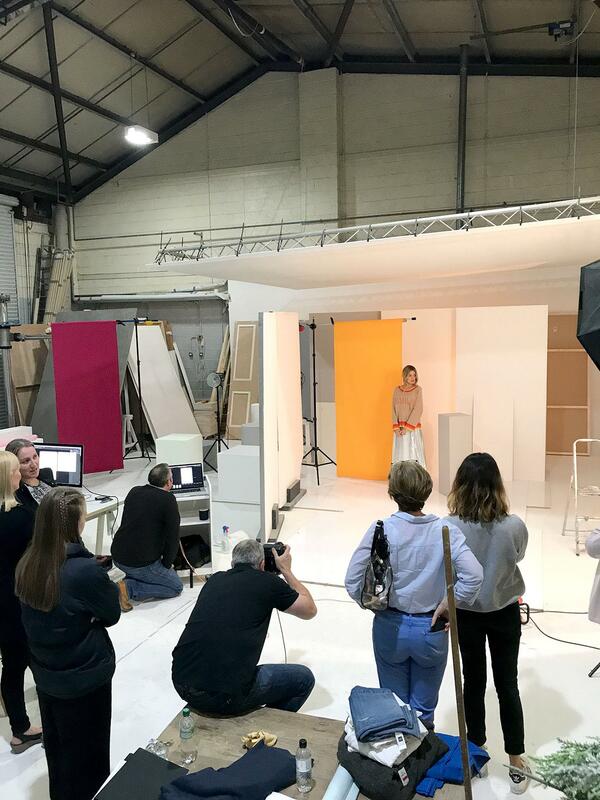 Pure’s fashion photographers wanted to ensure there was good variation in backgrounds throughout the shoot, so with every change of outfit came a set change! Lighting was kept simple with just 2 lights being used for the whole shoot. The design of the spring / summer look book catalogue was influenced by nature. So the design reflected this with tropical leaves framing the fashion photography. There is a gallery of the images from the fashion shoot when you click on the bottom image below. A huge achievement for just 2 days in the studio.